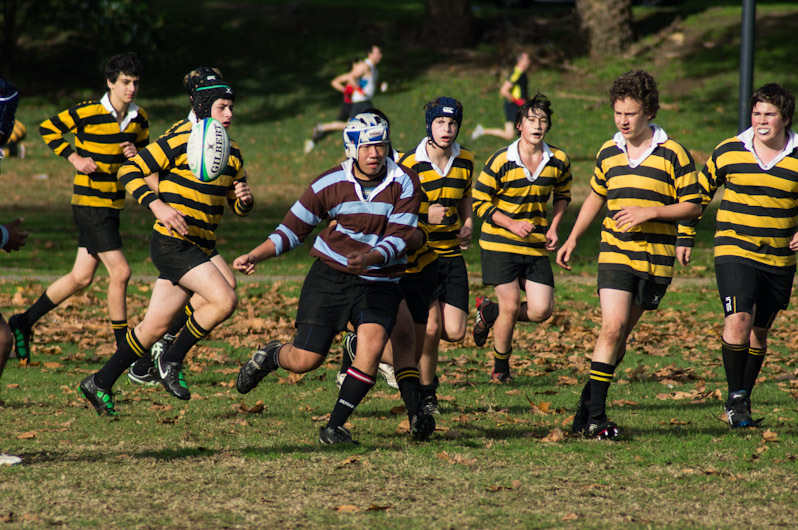 My boy who was in blue team from Sydney high in the picture is going to share his proud moment on the face book. I said to him why not post on my blog first? 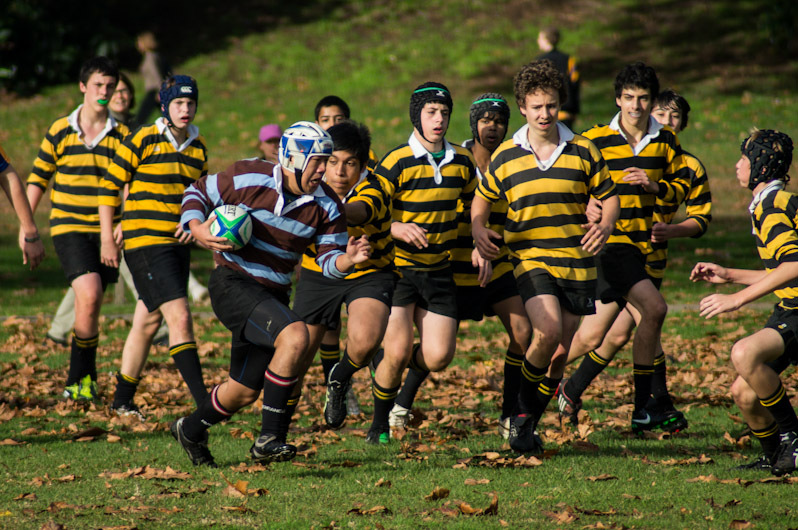 Pictures were taken on Saturday’s School Rugby Competition at Sydney Grammar’s home ground in 2011 and he was at Year 10 at that time. I was a High Boy. You must be proud. Yes I am. So glad to know you are coming out from the same school. Different from the smart phone time. Thanks very much. Well, Ming, your boy is no skinny little runt, is he ? 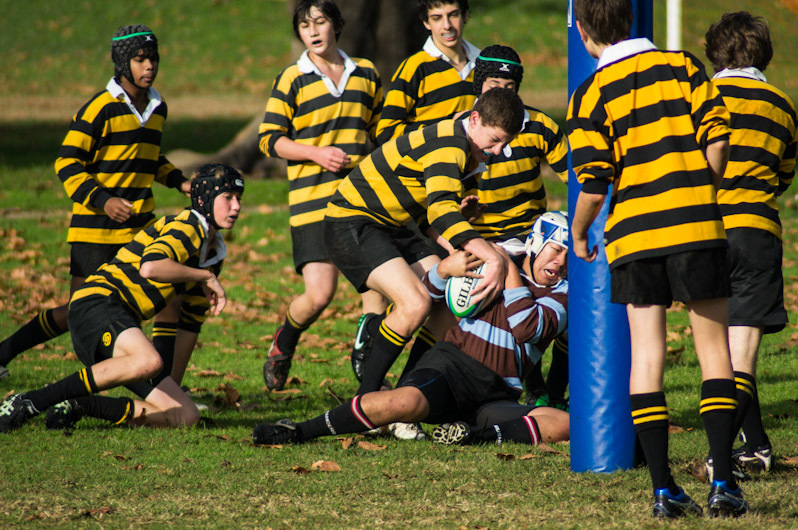 [grin] I do wish blokes wouldn’t go in for these horrible contact sports … but there you go, you’re blokes, and you love it. Thanks M-R. He just loved to play. He got the first time shoulder dislocation on right during night training. I took him straight away to the hospital, but he didn’t learn from it. Then he had second time shoulder dislocation on left during the game one year later. I have had one of those, and they had to give me a 20′ knockout in order to put it back in. It wasn’t a lot of fun. Now that he’s had two, he must be REALLY careful, of he’ll become a person whose shoulder is often dislocated … Something inside becomes weak, you know …?